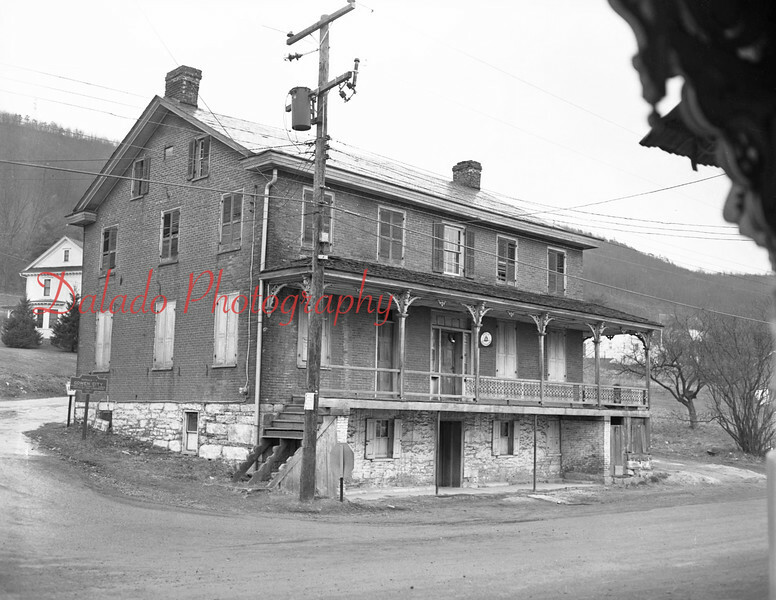 (12.31.1953) Oldest building in Gowen City, erected in 1852. Operated by Mickey Kerstetter. Formelly known as the Brick Hotel. Here it is shown on Dec. 31, 1953.